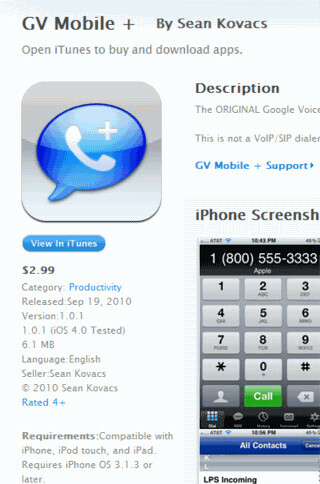 More than 14 months after shutting the door on the official and third-party applications for Google Voice, Apple has relented, approving GV Mobile for the iPhone. 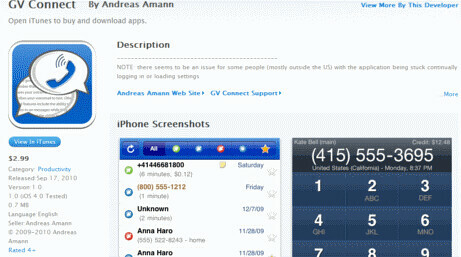 GV Mobile supports automatic transcription and voicemail playback and most other features. Apple also accepted GV Mobile rival GV Connect, which does what GV Mobile does and also costs $2.99 for purchase here.